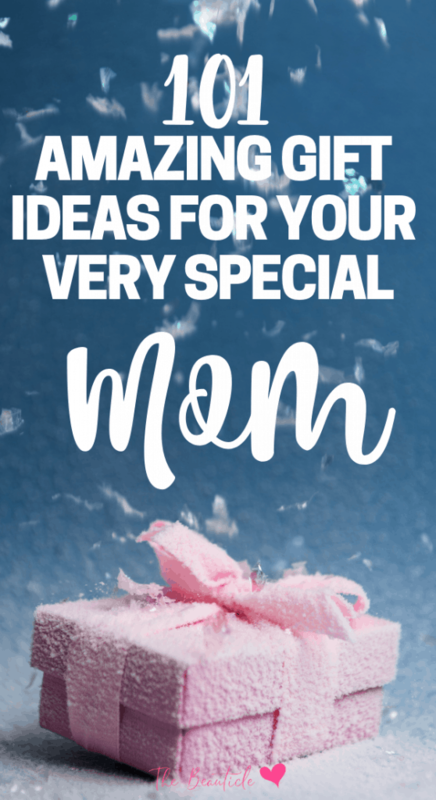 This article is updated each quarter to only offer you the most unique gift ideas for mom. Your mother is special – the matriarch of the family. You want to show your appreciation for all that she has done for you, but you’re not sure what to get her. This complete gift guide for moms will help you to find a gift for her no matter what she’s into. If your mom is a cat-lover, wine-drinker, practical gal or green thum hobbyist, you will find something special here for her. Let’s start with the practical mom. She is always resourceful and usually asks for items that she can make use of. If this sounds like your mom – then a useful gift would be best. Something she can use over and over again. Or even something she needs, but isn’t going to buy herself. What about an item that you can splurge to get her? An item she would love to have, but would consider too much to spend on herself. Here are 10 gift ideas that you can give your mom for her birthday or Mother’s Day or just to say thanks mom. Does your mom own a car? Any car owner needs to buy things for it to run smoothly and your mom isn’t any different. You could get her things like oil, filters, windshield wipers or antifreeze – make it fun and give it to her as a basket. That way she has those items the next time she needs them and doesn’t have to run out and purchase them. Step this up by including an emergency kit for the car with things like jumper cables, duct tape, a first aid kit and flashlights. You could even borrow her car close to Mother’s Day and take it in for an oil change or a tune up. Is your mom on Amazon every day buying something? Or perhaps she loves the local grocery store? A gift card would help her buy the things that she wants or needs. They are useful for a variety of things and most places sell them. Even her favorite coffee shop down the street probably has gift cards. If your mom is an independent woman who doesn’t like asking for help and prefers to get things done herself – then tools are the way to go. You can get her anything from a power drill kit to a homeowner’s tool kit. She will enjoy getting something that will make her life easier. Plus she won’t feel like she is burdening someone else to fix something that she knows she is perfectly capable of doing herself. Maybe your mom likes to travel – whether on an airplane or driving a few hours to see her grandchildren. Knowing you’ve packed everything and not having to write a checklist every single time would save her time and the stress of worrying about whether she left something behind. Here is a handy packing checklist to make her trips a little easier. Does she travel with a lot of toiletries? Here is a roll-up makeup case she would enjoy. These are so much more organized than having everything thrown into a loose bag. Or upgrade her travel bag to a rolling suitcase that is easy to lift and maneuver through the station or airport. These would be great gifts for her peace of mind while she is traveling. Does your mom like to read, watch TV, take pictures or find recipes on the go? A tablet like a Kindle Fire would be a wonderful gift for her. These small devices can be taken anywhere and she’ll never run out of books. Not only that, but she can adjust the size of the words if her sight is getting a little bad and no one will be the wiser. Has your mom been mentioning that her vacuum cleaner isn’t working right? Perhaps she’s been using the same one for many years. Upgrade her to new technology to make her job easier. Cleaning tools, equipment and supplies would make a great present for a practical mom who knows she needs them, but isn’t quite ready to give up on her old ones. Anything to do with organizing such as containers, shelves or baskets will help your mom. Think of her counters, bathroom, her cupboards in the kitchen, the refrigerator or the garage. Is there anywhere that she could do some organizing in? Does she complain that the pots and pans lids are scattered everywhere and she can never find the right one? Buy her a lid organizer. When your mom is happiest in the kitchen cooking and baking – new kitchen utensils or a gadget would be right up her alley. Having quality products while cooking makes the job easier. A new spatula, a candy or meat thermometer or some stoneware would be products to consider. Think about what your mom does in the kitchen and then you can figure out what she would like the most. If she is going through a pizza for every meal phase – you could buy her a nice cheese grater, a piece of stoneware specifically for pizza or a pizza maker. Air fryers are all the rage right now and would help to make favorite meals healthier. 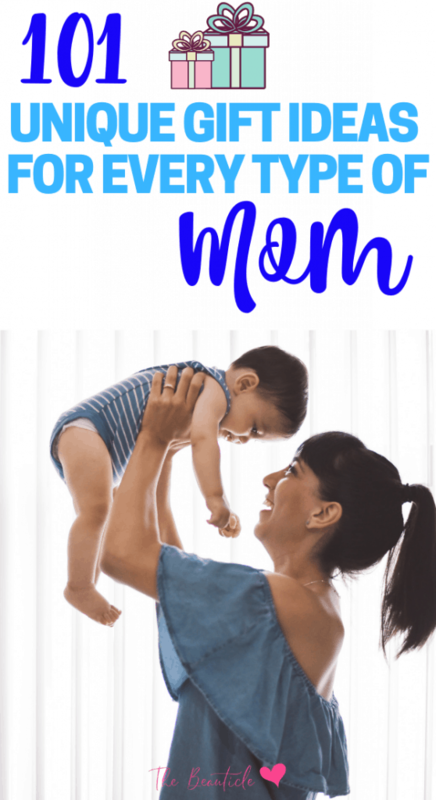 Does your mom love to exercise? Often getting up at the crack of dawn to lace up those running shoes. Any type of exercise program is expensive and you helping her in this department would be appreciated. This could be anything from clothing, shoes, a fitness tracker and safety equipment (like lights) for her morning runs. You could also get her an online meal plan or training program to help her meet her goals and stay accountable. This intro to the keto diet is a great 21-day meal plan to drop 10-30lbs in less than one month. What about slippers, a robe or pajamas. 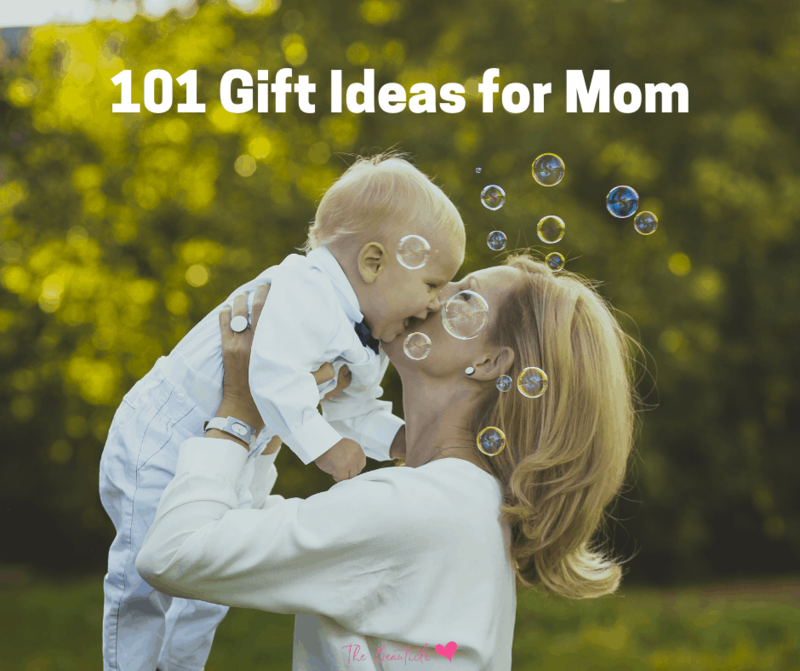 Any of these things are a great present for mom. She will always think of you when she wears her new favorite pair of fleece pajama bottoms. Or maybe a nice warm and cozy plush robe that she can wear around in the morning – when it is a little bit cold. Find her favorite color and she will be grateful that she has something warm to wear while she is preparing her morning coffee or tea. When shopping for a Mother’s Day present, you need to think of what your mom is like. If she is a practical person and prefers for her gifts to be useful then any of the items above would be a gift that she will love. Your first step is to consider what your mom likes or needs. You should have gotten quite a few ideas already. Now your task is to pick one, wrap it and give it to her. Let’s look at some more ideas is you’re still stumped. Trying to decide what to get your wife this Mother’s Day? It’s one of those day you get to show her just how special she is and finding the perfect gift isn’t always easy. How do you say thank you for the hours of labor she went through? For the sleepless nights and the worry that comes with being a mom? The key to finding the perfect gift is to understand what makes your wife tick. Think about what she really wants or needs. If you need a little inspiration, then below you’ll discover 10 of the best Mother’s Day gifts you can give to your wife. Most women love receiving jewelry. Whether it’s a diamond ring or a beautiful necklace; jewelry is bound to make her day. Before choosing a piece of jewelry, consider your wife’s personality. If she’s sentimental, consider buying her a charm bracelet that she can add to each year. The charms can represent anything from family to her hobbies or even her favorite animal. Or if you really want to spoil her, go all out on a diamond ring, earrings or necklace. When you have children it’s hard to find time to spend alone together. The romance can fade and life becomes all about laundry, packed lunches and sleeping. Treating her to a staycation could be just what she needs. It’s cheaper than going abroad and easier to find a babysitter who will look after your kids for a weekend. Whisk her away and enjoy some much needed time together away from the kids. Every mom wants to feel appreciated. It’s easy to take for granted the hard work your wife puts in day in and day out. An appreciation gift shows her exactly how much you appreciate what she does. It could be a sentimental wall decal or even a personalized mug or pillow with a quote of your choice. It’s inexpensive yet comes with a very important message that she no doubt needs to hear. Depending upon your budget, spa products or a spa day could be an excellent present. Being a mom is stressful and it becomes all about the kids. If your wife could do with some much needed ‘me’ time, then spa products in a gift basket are an excellent choice. You could even offer to watch the kids while she enjoys using them. If you can afford it, spring for a spa day it would be better and more relaxing for her. Personalized gifts are a fantastic choice for any mom. There’s a wide range of these types of presents available on the market and you can add your wife’s name, your children’s names or even add your own special message. If she’s a huge coffee fan, why not go for a personalized coffee mug? Or if she’s a fan of a particular TV show, you could opt for personalized merchandise. If she loves gardening but doesn’t get much time to do it these days, an indoor plant is a great gift. Requiring very little maintenance, a flowering plant like orchids will brighten up the home and gives her something small to tend to. You could also turn it into a romantic gift, offering her a small indoor rose bush. Does your wife love intricacies decorating her home? Wind chimes, candles and ornaments could be just what she wants. This is something stay at home moms will especially appreciate. They spend most of their days in the home, so giving them something to brighten it up and personalize it a little will be a fantastic gift. If budget isn’t an issue, you could totally surprise her by investing in a new sofa or bed. Both will add to her comfort levels which is definitely something she’ll appreciate. It’s hard to stay focused and positive all the time when you’re a busy mom. Why not give her something inspirational as a gift? Does she like motivational quotes? If so, you could buy wall stickers featuring motivational quotes, or custom message boards, posters or pictures. If ever she’s feeling overwhelmed or she’s tired, seeing the motivational gift will give her the pick-me-up she needs. Being a mom is one of the most rewarding, yet stressful jobs there is. Why not help her eliminate some of that stress with stress-busting gift? Adult coloring books have proven very popular and are great for creative types. Or you could give her a journal where she can write her innermost thoughts and feelings. Take it up a notch and get her this personal neck massager. Does she love sports? Whether she’s into the NBA, NHL or NFL, you could surprise her with her favorite team’s apparel. It could be something as simple as a sweater or t-shirt. Nowadays there is apparel designed specifically for women. So make sure to get her something that fits her body, not a shirt that a guy would wear. Touch By Alyssa Milano is a perfect place to find something she’ll actually wear. Another excellent gift if you have the money you could splurge on season tickets or a rare signed shirt or photo of her favorite player. This is often an overlooked gift for women but we love sports just as much as men sometimes. When shopping for your wife this Mother’s Day, really think about what she likes. Think back to any conversations you have had with her about what she needs or wants. The ideas above should help you determine what type of gift she’d prefer. Now all that’s left to do is pick one, wrap it and surprise her. Remember, it’s the thought that counts and showing your wife you listen and know what she wants will really mean the world to her. Let’s have a look at some options for new moms. New mothers are going through a lot right now. The world as they knew it will never be the same. Now they are coming to terms with their new life, learning what their new normal is. The new mom has many needs at this time. Some of them she doesn’t even know how to express. She has a lot of emotions going through her system on top of the wonder and excitement of a new baby. The realization hits that even though you’ve planned for this baby and knew it was coming into your life – you’re really not prepared for everything that this journey entails. New moms are sleep deprived the first few years after they have a baby – especially when the baby is a newborn. They nap when baby naps and then don’t sleep that well even during the night. Always keeping an ear out for when the baby needs them to get up and take care of them. Anything to help new moms relax and sleep during the night will be appreciated. Sleeping aids could be anything from masks to white noise machines. Even lullabies for babies. New mom bodies have gone through a huge change. Being able to pamper yourself and appreciate the changes is essential for new mom’s to learn to love their new self. Help them make this beautiful transition. You can give her lotions, bath and body spa sets, lavender pillows or even a foot bath machine. When giving this type of present make sure you think about what stage the new mom is at. She will not be able to use bath salts or bubble bath right after she gives birth. Epsom salts however may be soothing. Any type of food gift will not go to waste. Most new moms struggle all through the day and then when it comes to dinner – they are exhausted from their new role. Freezer meals, a subscription to a food delivery service, a snack pack, an edible fruit bouquet or a gift basket full of food will all come in handy during these times. As a new parent she’ll want to capture every moment. She is sentimental and wants to experience the joy of her new role. You can honor it by getting her the ultimate personalized gift of breastmilk jewelry. There are many other personalized baby gift ideas you can also choose from – picture frames with poems, birthstone jewelry, blankets with their children’s name and birth date printed on them and a handprint kit. This is the type of gift that will be cherished and kept forever. Even a gift with the babies name and birthdate on a blanket would be a special gift. Or there are several ways to add images to mugs. These are both thoughtful gifts that she will appreciate. New moms are going through a lot and sometimes she needs some information and inspiration. There are plenty of ways to offer this. You can get her a book with baby advice or depending on how old the child now is, an online course on things like sleep training, feeding baby or potty-training. You might not think this would be a good one, but her baby is growing and needs new clothes often. Not only that, but the seasons change and with it she’ll have to buy the baby clothes that match the weather. Getting a baby outfit is a great gift to give. Another wonderful present is a picture frame or a digital one. Fill the frame with pictures of her new baby and she will enjoy this thoughtful gift. They even have different shaped picture frames or cubes. Add variety, so that she can take them to work and be able to look at them on her desk. Personalize a postpartum care kit for the mom to help take care of her needs at this time. If she had a natural birth, this will be different than moms who had a c-section. Getting up multiple times a night comes with the territory of a baby. Sometimes they’ll wake up and need the comfort of mom. Help her cuddle her new bundle of joy with a throw blanket she can use while rocking her baby. As you can see there are tons of options for what to get a new mom for mother’s day. Experiencing her first one is a memory she will always treasure. Does your mom love to cook? Does she have everything already for the kitchen and you’re just not sure what you should get her. Finding the perfect gift isn’t always easy. There are a lot of gifts on the market so below we’ve chosen 10 of the best ideas. No matter how much you have available to spend, there’s something on the list to suit all budgets. For moms who love to cook, they can never have too many cookbooks. She is always trying something new or finding another recipe that she just has to make. Or maybe she’s just starting out on a culinary adventure and she needs a little inspiration? With hundreds of cookbooks on the market you’ll easily find something to suit her taste. If she’s a busy mom, then focus on cookbooks that offer quick and easy recipes. Or even slow cooker cookbooks. Or she might be a fan of international cuisine, so a Chinese or Japanese cookbook would be ideal. She could be embarking on a new dietary journey and needs inspiration like a keto or whole30 cookbook. Understanding the type of food she loves and the amount of time she has to dedicate to cooking will help you narrow down your search. Looking for holiday-themed Keto recipes? These are some fantastic ideas! All cooks need a range of high quality kitchen utensils. If she’s been using the same ones for years, why not surprise her with a brand new set? Knives are a particularly great idea. A good knife makes all of the difference when creating delicious meals. When you’ve got older, dull knives it can take meals longer to prepare. Here is a helpful tip – when choosing utensils, try to match the color with the décor of her kitchen. If you really want to impress her, why not give her a brand new small kitchen appliance? There are so many to pick from. Food processors are a more expensive, yet very useful gift for moms who love to cook. This will help her to shred good quality cheese quickly or cut up vegetables to add to sauces quickly. Or if you want to give her something a little different, why not consider the more unique cooking appliances? You’ll find rice makers, bread machines, indoor grills and even dehydrators. Small appliances will last for years and make a great, lavish gift. New cookware is a useful gift that can actually make a big difference. Take new pans for example. Over time, non-stick pans can start to lose their effectiveness. Brand new non-stick pans will help make cooking easier and produce better results. When picking cookware see what type she likes to use – they have many on the market today. There is glass, cast iron and copper just to name a few to choose from. Again, you’ll also find more specialty related cookware if you’re looking for something different. If she’s a fan of Mexican food why not surprise her with a fajita pan? Fish and egg poachers are another great idea. Another ‘out of the box’ idea is to give her a specialty item. These could be anything from heart shaped pans to restaurant standard presentation tips. You’ll find lots of specialty items on the market to suit her personality. A mixology kit or bar supplies could also be a great gift idea for moms who like to serve up the perfect drink with their meals. Does she love nothing more than to bake? Moms can never have too much bakeware. Does she like to cook a specialty desert? See if it offers a specific bakeware dish. You can get her jelly roll pans, springform pans or bundt pans. These will help her bake the best desert. There’s an outstanding selection of bakeware available so think about what she might need or want. Does she like creating baked masterpieces? Then choose decorating supplies such as piping kits, edible glitter and stylish baking cups. If she does a wide range of baking, then opt for a baking pan set. Cutlery is both practical and stylish. Being able to use a good set of knives makes a huge difference in how long it takes to make your meals. The better they are the less time it takes. This might seem like an unusual gift, but your mom will be excited to get something that she’ll be able to use every single day. You can find different styles of knives. For example they have Asian knives that work extremely well if she likes to cook a lot of stir fry. You can even get vintage style cutlery sets. Or if she’s a fan of pulled meat, give her a set of meat claws to help her re-create her favorite restaurant style pulled meat dish. She will be thankful for this gift. Pulling meat can burn your hands – especially if it’s not tender and falling apart. Kitchen gadgets are great for the fun-loving mom, tech-friendly mom. There are a lot of cool gadgets on the market that aren’t just fun to use; they’re also really useful. Does your mom eat a lot of fresh vegetables? You could get her a vegetable spiralizer. This gadget makes her zucchini into “noodles” and other veggies can be spiralized as well. You’ll also find many other items like can crushers, herb scissors and pasta molds. These represent a small amount of fun, unique kitchen gadgets that you can choose from. Does she enjoy hosting dinner parties? If you’re buying for mothers who love to hold regular dinners and events, serving dishes and utensils are going to be really appreciated. If she especially likes to host ‘posh’ dinners, why not give her fancy accessories such as lobster forks and crackers? If she’s not really a party person, serving dishes are a great alternative to larger service platters . You can spring for specialty items such as olive serving dishes and oil dipping dishes. Think about the type of cooking she does and the things she most serves up. That will help you choose the perfect dish. Don’t forget they also come in a wide range of styles from retro, colorful dishes to more vintage, traditional style dishes. So also factor in her design preferences when choosing the right set. With so much choice out there, it’s hard to decide which gift is right for moms who love to cook. That’s why you should always take into account the type of cuisine she likes, her cooking style and her personality. The items above should give you a lot of inspiration on what to buy. Let’s look at the moms who love gardening and the gifts you can get them. When you’re buying for someone who likes to tinker in her garden all the time, there’s a huge selection of great gift ideas out there. It doesn’t matter how much you have to spend, how big or small her garden might be or the type of gardening she prefers to do; these 10 great gift ideas for mothers who love gardening will help you find the perfect present. Does your mom enjoy cooking just as much as she appreciates gardening? Then an herb kit is perfect. The majority of herb kits feature the most common plants used in cooking such as sage, thyme and basil. They’re very easy to grow so would make a great choice for moms new to gardening. Another benefit is the fact that they can be grown inside as well as out. That means she’ll benefit from this gift whether she lives in an apartment or home with a yard. Gardening books can be very useful, especially for the beginner since they feature plenty of tips, tricks and advice. The right book could help her understand exactly how to grow the perfect plants and flowers. Even a more experienced gardener would benefit from a book about a subject she’s passionate about. There’s always something new to learn about planting techniques. There are a lot of accessories out there that can help make gardening more comfortable, as well as easier. Show her you care by giving her knee pads to help protect herself as she’s tending to her garden. Or make her job easier with a brand new shovel or digging tool. Ok so this might not sound like an exciting present, but it’s a great idea for moms who also care about the environment. A compost bin helps to create high-quality compost that can help her plants and flowers grow. It also reduces the amount of waste sent to landfills. If you’re buying for a mother who does her best to look good at all times, why not surprise her with trendy gardening clothing? A lot of the time she’ll be out in the garden during hot, summer days. A gardening hat can help keep her protected. Gloves are another essential, helping to protect her hands. By giving gardening clothing you’re showing you care about her well-being, her hobby and her style. Garden décor really helps to personalize and brighten up an outdoor space. Why not give her a beautiful Suncatcher? They come in various nature inspired designs and you could even choose a style that suits her personality. Maybe she has a fascination with butterflies for example? Then she’d be delighted with a butterfly themed Suncatcher or windchimes. Help to make her garden look beautiful by buying her new seeds and bulbs. This gift can also be given in connection with gardening books. You could buy specific seeds that she’s never grown and then buy a book on how to grow them. It’s worth keeping in mind that there are a few factors you need to consider before buying them for her. For example, you need to make sure they are compatible with the type of soil in her garden. You’ll also need to check whether they need to be grown in a greenhouse or can be grown directly in the garden. The last thing you want is to buy her something that she isn’t going to be able to grow. Flowers are a traditional Mother’s Day present, but hanging baskets can be even better. Featuring a range of colorful flowers, they add a really decorative look to the garden and last a lot longer than flowers bought from a florist. You could even create your own hanging basket if you have the right gardening skills. Working with a bigger budget? Splurge on her Mother’s Day gift by surprising her with a greenhouse. Give her a dedicated space to grow everything from flowers to fruits and vegetables. A high quality greenhouse could turn into her pride and joy. There are a lot of greenhouses out there with various features. Consider how much growing space she will need and how often she will likely use it to help you pick the right one. Another more expensive, impressive item is a storage shed. If she does a great deal of work in her garden, she’ll no doubt have a lot of equipment she needs to store. Help her unclutter the garden and your garage with her very own shed. Keep a lookout for sheds that also feature a built on greenhouse. These are often referred to as potting sheds and provide both space to grow plants and flowers, as well as to store important gardening tools and equipment. So there you have it – 10 of the best mother’s day gift ideas for moms who love gardening. As you can see, there’s something for everyone on the list. You can also choose to buy more than one item above and create a little basket that is all her garden. Surprise her with something she is passionate about this Mother’s Day and show her how much you care. Being a mom is one of the most difficult jobs there is. For many mothers, being able to relax after a long, hard day with a nice glass of wine is relaxing. Therefore, when you’re looking for the perfect Mother’s Day gift you might want to consider something wine related. For moms who love wine, there are plenty of presents out there to choose from. Below you’ll discover 10 great gift ideas that she’s really going to appreciate. Give her a place to store her essential wine collection in the form of a stylish wine rack. Available in numerous sizes, wine racks come in a variety of designs. From simplistic, standalone wine racks to wall mounted and stackable racks; there’s something to suit all wine lovers. Think about where she might put it and how many bottles she typically has in at any one time. This will help you to choose the best rack to fit her needs. Of course, one of the most obvious items you can give a mom who loves wine is a bottle or crate of wine. However, choosing the perfect wine to give her might not be as easy as you think. Does she have a favorite region or type of wine? Is she a red wine lover or does she prefer a glass of white? You’ll need to figure out exactly what she likes before buying a bottle. Wine prices vary significantly and you’ll usually find the older it is, the more expensive it is. It’s definitely worth doing your research before buying wine for Mother’s Day. This way you’ll make sure you’re getting her something she’ll really like. Does your mom love corked wine? A corkscrew could be a useful present. Over time, corkscrews can start to lose their effectiveness. When you visit and she is struggling to open a bottle, or her current corkscrew is looking a little worn down, a new one could be just what she needs. There’s a huge variety of bottle openers and corkscrews available. From screw pull levers to wing corkscrews and automatic bottle openers; take your time to look through the different types before choosing one. You can even find novelty corkscrews that make opening wine a more fun task. Wine decanters were once associated with the rich and famous, but these days they are considered an essential for every wine lover. Helping to not only present the wine in a more elegant way, decanters can also help improve its flavor and remove any solid materials left over from the cork. There’s a massive choice of decanters available including stunning crystal varieties. For a more traditional taste you should be sure to choose one of the more antique design decanters. If you want to splurge on your mother’s day gift, a wine fridge is perfect. Not only will it give her a place to store her wine, it will also keep it at the right temperature. This is a something for moms who love white or Rosé Wine. Another extravagant gift, a wine taste & aroma kit is designed for the serious wine lover in mind. Does your mom want to learn more about? These kits are fantastic. This item will help her distinguish between different wines. Helping her to make the best wine choices when dining or when she is pairing it with a dinner in. There are various kits available with some focusing more on aroma than taste. So consider what she’d most like to learn about before choosing a kit to present her with. Does she already have wine and all the equipment needed to enjoy it? You could always get her wine-related home décor. Help her personalize the home with a wine themed picture. This would look especially great in the kitchen. Or you could buy wine mats. These prevent any wine running down the glass from staining the surface it’s placed on. Add to her enjoyment at the end of a long day. Give her a beautiful set of wine glasses. When choosing a glass, think about her style preferences. Does she like classic décor? Crystal glasses would be a wonderful item to give her then. Is she more of a modern mom? Then a set of 4 retro colored glasses would be a better choice. Or if you want to make her laugh, why not buy one of the extra-large, novelty wine glasses? They come in a wide range of designs so it really does help to know what she likes to narrow down your search. Make it a more unique gift. A Vacu Vin wine saver is worth considering. This will help ensure her wine doesn’t lose its flavor. That way she can savor her wine and not worry about it not tasting as good as when she first opened it. It’s difficult to reseal a corked bottle of wine as the cork very rarely fits back inside. This wine saver does more than just seal the bottle; it also eliminates any air via its powerful vacuum pump. Help her really enjoy her wine by giving her a useful wine thermometer. She won’t even need to open the bottle in order to check its temperature. This would be an especially good gift for moms who are particular about the wine they drink. It helps to make sure the wine is at its optimum temperature, allowing her to enjoy it to its full potential. The gifts above are just a small selection of the type of wine gifts available. If she loves wine, one of the items above will make a fantastic Mother’s Day gift. Whether she’s a lover of white, red or rosé, there’s a gift above to suit her preferences. Think coloring is just for kids? Think again! The adult coloring book industry is booming right now, so you’ll find a huge selection on the market. Has your mom just started coloring? Find a present that helps her with her hobby. Coloring gifts come in all shapes and sizes and there’s something to suit all budgets. Below you’ll discover 10 of the best gift ideas for moms who love to color. Coloring books aren’t just a fun way to pass the time, they also help to lower stress levels. In fact, they’re marketed as a ‘mindfulness’ activity. This means they can help boost the mood, combat depression and focus the mind into the here and now. All moms get stressed from time to time so a coloring book would be perfect to give her. There are so many different options on the market for coloring books – mandalas, flowers, fairies, landscapes, dogs, cats, animals, pin up women, women with tattoos and even swearing. Of course, it’s impossible to color without coloring pencils or pens. This may seem like a simple thing to give her, but you’ll be surprised at the quality of pencils out there. For example, proper professional pencils can cost over $100 for a set. Don’t let this amount scare you away though because you can find them cheaper than this and your mom will enjoy them as well. You’ll find there are a lot of different types of coloring options to choose from. To help her create a stand-out effect, you might want to consider glitter pens or Sharpies. Whatever your budget, you’ll find the perfect coloring pencils and pens to match it. Some people prefer to draw their own coloring pages and coloring them in herself. In this case, art paper would come in handy. Like the pencils, art paper comes in various qualities. Before choosing the right paper, think about the type of coloring she prefers to do. Painting for example would require a thicker paper than pencil. Want to present her with a present that will blow her away? A coloring wall decal would do the trick. Available in numerous designs, they are basically wall pictures and murals that you can color anyway you like. Another gift suitable for moms who love to draw as well as color, is a lightbox. Usually LED powered, lightboxes help to illuminate the paper, providing a better view of drawings and stencils. If using it simply to color, the box will clearly show where the lines end, helping her to get the best results. This works extremely well for moms who struggle with their eyesight. Once people start buying one coloring book, they will buy multiple coloring books. Storage containers would be appreciated. You’ll be able to help her to keep all of her coloring supplies neat and tidy with a stylish container. They come in all shapes, sizes and designs so you should easily be able to find one that fits her personality. Coloring enthusiasts like to color anywhere at any time – so why not opt for portable storage solutions? Once people start finishing their artwork they are not going to want to throw them out. They have spent hours creating just the right look. She will take tremendous pride in her coloring. Why not surprise her with a high quality, stylish frame? This will allow her to either hang her finished masterpiece on the wall, or place it on a table. It’s a 2-in-1 gift, proving to be both useful and a great way to brighten up the home. Does she have little space to do her coloring? An over the chair computer stand can help. This space-saving flat stand gives her a solid surface to color on. After use, it can easily be stored away until next time. There are quite a few to choose from, with some even offering a holder to store a cup of coffee. A printer might not be an obvious present, but it expands her coloring options. There are such sites as Etsy that allow pictures to easily be downloaded from the internet and printed out ready to be colored. There are many websites out there dedicated to coloring and a printer allows her to print off as many pictures as she wants. Once her creativity kicks in she might want to expand her horizons into other art forms such as painting. An easel and paints will really make her day. You can buy large paint sets, though it’s recommended you have a good idea of what type of painting she might like to do or get her a variety and let her decide. There many different forms watercolor painter or an oil painter. The style will make a big difference to the type of paints you should buy. These are just 10 great Mother’s Day ideas for moms who love to color. If you want to give her an extra-special gift, why not buy a few things from the list above and pack them into a home-made basket? Overall the great thing about buying for moms who love to color is that there’s something for all budgets. It doesn’t matter how much or how little you have to spend, there’s always supplies you can buy that’s going to make her happy. To find the perfect Mother’s Day gift, it helps to look out for an item associated with something she really adores. If she’s a cat lover for example, buying a cat-related gift is sure to brighten up her day. The trouble is, there’s such a massive range of cat related gifts available on the market. With so many choices it can be difficult knowing what to buy. The 10 ideas below will help you determine which mother’s day cat gift is right for her. A cat themed mug is a fantastic gift. Not only is it something she can treasure for years to come, but it’s also useful too. If she’s a huge coffee drinker, this is an especially great gift. If she has a cat, you could even choose to personalize the mug with its picture, making the gift even more special. From cat shaped mugs to funny cat slogans; there are a lot of different designs out there making it easy to choose something she’s going to enjoy. Another useful gift, cat socks are perfect for any budget. If she’s a fun loving mom, why not choose novelty cat themed socks? Or if she’s a serious cat lady, opt for socks that come with a realistic cat picture imprinted into their design. You’ll find everything from retro, colorful cat socks to more reserved plain socks with an “I love my cat” slogan printed on. If you’re really looking to treat her this Mother’s Day, a cat themed necklace could be the way to go. Does she prefer novelty or unique jewelry? If so, opt for one of the more unique cat necklaces with a novelty design. If she’s more of a traditional, diamond jewelry person, look out for a diamond cat necklace. Whatever her preferences, there’s plenty of cat necklaces on the market that she’ll take pride in wearing. Think about whether she’d prefer an actual picture of a cat on the necklace, or whether a cat shape would be just as appreciated. Also consider whether she mainly wears gold or silver jewelry. Cat figurines are one of the most popular gifts for people who adore their four legged friends. Adding a decorative and personal touch to the home, this is a fantastic gift choice for moms who like to collect things. It could be featured on the mantelpiece or placed on her bedside table. From novelty Japanese inspired ‘Lucky Cat’ figurines, to elegant crystal figurines; there’s something to suit all tastes. As well as socks, you’ll find a wide range of cat clothing available. If she likes to make a statement through her attire, then a cat t-shirt, coat or cardigan could be the perfect choice. If she’s a little more reserved, a cat scarf would be a better choice. You’ll even find silk cat printed scarves available which add a really elegant touch to any outfit. Think about her usual style before buying any cat related clothing. Grumpy cat is an internet sensation and there’s a huge choice of merchandise available. If she’s a grumpy cat fan, why not surprise her with a plush toy? Or maybe she could do with something a little more useful such as a Grumpy Cat calendar? There’s even a Grumpy Cat book which puts a slightly negative slant on everything from birthdays to kittens. If she has a sense of humor the Grumpy Cat book would be a marvelous gift. If she has a cat, chances are she’ll take every opportunity to spoil it. Supplying her with a cat gift basket could be a perfect gift idea. You’ll find ready-made gift baskets that include toys, tasty treats and useful items such as cat grooming accessories and books. If you’re buying for a mom who not only lives for her cats, but who is extremely happy to putter around in the kitchen, why not opt for an apron or towel set? There are many cat-themed kitchen décor items available. You can even find cat shaped salt and pepper grinders for example. If she loves to bake, then a cat-themed apron would be a brilliant gift. If she’s a busy working mom, then cat themed office supplies will help personalize her workspace and keep her happy while she’s away from her furry companion. This is also an excellent idea for those on a tight budget. You can buy cat themed staplers, pencils, pencil cases and even a cute cat-themed tape dispenser. Another gift perfect for mothers who are constantly on the go is a cat bag. Available in numerous sizes, a cat bag can be used when she goes shopping, when she takes the kids to the park or even to carry her work stuff. Think about where she is likely to use it and this will help you choose an appropriate size. The above are 10 of the best cat gift ideas you can give her this Mother’s Day. Pick any of the items above and watch her face light up when she opens it. The best Mother’s Day gifts are ones that show you pay attention to what she really loves. So if she’s a mom who lives and breathes her cats, the items in the list above are sure to make her day extra-special. Is the mom you are buying for obsessed with dogs? Does she refer to her own dogs as her ‘fur babies’? For many people, their dogs are a massive part of the family. So what better gift to present her with this Mother’s Day than a dog themed item? There’s a staggering amount of dog gifts available so it helps to understand her personality. If you’re struggling for ideas, below you’ll discover 10 of the best dog gifts you can give any dog lover. A dog themed calendar is a perfect gift; especially for busy moms who always seem to have a million and one things to do. It will help her keep track of important dates and appointments, as well as give her a picture of a dog to look at each day. You could buy a 16-month calendar to make sure it lasts until next Mother’s Day. Is she passionate about a certain breed of dog? Most dog breeds have their own calendar that is solely devoted to them. You could even go one better and choose a personalized calendar with pictures of her dogs. Make it even better by adding the entire family in the personalized present. A dog book would make perfect gift to mom’s who adores to read. Think about her situation and then buy a book based on that. Is she currently trying to train her dog? Then buy a book featuring training tips. This would be both useful and extremely appreciated! There are hundreds of dog books on the market so you’re bound to find something she’s going to enjoy. Is your mom someone who enjoys decorating her house? Coming home and showing off her bargains that she found from her shopping trip? Since she wants to add her own personal touches to the house you could get her a dog themed throw. The present is unique, but has a fun quality to it. Like other dog gifts, these can also be personalized to include a picture of her dog. Again you can find designs dedicated to specific breeds or a more general design that include various breeds. No matter what type she is, you’ll be able to find throw pillows to suit her preferences. A dog wall hanging is sure to make her day. Not only does it give her something she can see every day, but it also adds a more personal touch to the home. You’ll find a variety of wall hangings available from famous dog paintings to novelty pictures. Think about the current style of her home. Is it modern? Then a novelty or retro style dog print would be a stylish option. A more traditional decorated house would need something classy, so an elegant dog painting would be more ideal. Is your mom always on the go? Does she have a ton of purses in her closet? Then a dog bag is an ideal gift. Not only can it keep her valuables safe on the move, but a dog themed bag also adds a personal touch to her outfit. Accessories are one of the best ways to show who you are as a person. So a dog themed bag will help her publicly celebrate her passion for dogs. Dog signs can be funny and a fun way to help her express her wishes. For example, you can buy dog signs that serve as a warning to guests that they might get dog hair on them, but it is the dog’s house – so they will have to deal with it. Another fun one could be about the owner versus the dog. A sign that reads “never mind the dog, beware of the owner?” This is sure to make her laugh and she’ll proudly hang it on the door or gate. Finding home décor with a dog theme is easier than you might think. There are a lot of dog related home décor products out there including throw pillows, duvet sets, curtains, rugs and figurines. Most women like throw cushions and pillows so if you’re struggling for inspiration, that’s definitely a gift that won’t let you down. Why not give her a dog themed gift basket. There is a couple of ways you could approach this. You can either find a few small items that are dog related and place them in a cute basket yourself. Some items could be a book, a mug and a t-shirt. The second way would be a gift basket full of dog items. While technically a gift for the dog; she’ll still be thankful for the gift and love any chance to spoil her faithful companion. Gift baskets range in size and value so you’ll always be able to find one that matches your budget. Think about the size of the dog before you buy a basket as some will be created with a certain size dog in mind. In this case, the toys and snacks will be appropriate to that size of dog. Dog themed kitchen décor would be a creative way to let her express herself. Treat her to a dog themed apron or set of placemats. You can even find dog themed wine glasses, mugs, plates or a cookie jar. This will help personalize the kitchen space and will help those looking for more useful dog themed gifts. One of the latest crazes is adult coloring books and it’s easy to see why. Being a busy mom, she’ll appreciate anything that helps her to relax. A dog themed adult coloring book would make an excellent gift. These coloring books are known to lower stress levels and help combat depression and anxiety. So not only will you be giving her something she’ll make use of on a regular basis, but you’ll be contributing to her well-being too. The gift ideas above should give you some inspiration on what to give her this Mother’s Day. Any of the items above will put a smile on her face. All you need to do now is choose one, wrap it in dog themed paper and watch her face light up when she unwraps it. Gifts for grandma are always fun to purchase. She loves anything that has to do with her grandchildren or children. From a picture to a hand drawn piece of art. Grandma enjoys getting pictures of her grandchildren and probably has them throughout her house, but don’t let that deter you. A grandma’s house is never too full of those wonderful kids. You could create a photo book of the best memories from last year. Or give her a brag book with all the cutest pictures you can find. This will be something that she can easily carry in her purse to show off to her friends. What about a grandmother gift life story frame? Who wouldn’t want to see the generations that you have created? Pictures are by far the best gift to give grandma. You can even get her a doodle mug that says “Grandmother” on the outside and then “You are loved” on the inside of the mug. These are an item that she would use daily. There is nothing more special than jewelry for a grandma. You can show your love so many ways with different pieces of jewelry. For example you could find grandma a necklace that is special between her and the child. It would feel her heart with joy every time she felt it around her neck. You could also get her a charm bracelet that has each of the children’s favorite activity on it. Grandma’s love their job and are proud of being grandparents. Is your grandma like this? Does she have a garden or a space on her wall that she needs something new to hang there? You can find one about Grandma’s house rules or one that reads Grandma’s house. Each of these will be a gift she will enjoy immensely. Getting a gift that is personalized specifically to you or about your role (being a grandparent) is one of the best gifts to give. You have lots of different options – handprint art, children’s picture books and birthstone jewelry. Or even a calendar or mouse pads with pictures. Help her beautify the outside of her house. This could mean her garden, her front porch or her yard. There are tons of options for outside décor. You can find wind chimes, lighting lamps, tiki torches, bird houses and flower stands. Splurge and get her that porch chair she has been mentioning. She’ll appreciate receiving such a thoughtful gift. Flowers are always a favorite among grandmas. But now a days you have more options then just a flower arrangement. You could consider live indoor flowers such as orchids. They come in a variety of colors and will bloom every year. Not a flower person? Try a cactus, bamboo plant or even an herb kit. Does your grandma have a sweet tooth? Chocolate is the way to go. Get her a box from a luxury chocolatier to make it extra special. Pair it with a flower arrangement and she will love it. A good housecoat, robe, pajamas or slippers might be exactly what your grandma wants. There are so many options available that you can’t go wrong. Fabric can be silk, satin, fleece, flannel and cotton. Try to find the type she likes and if you’re getting her slippers you can get foam ones that form to her feet. Creating a gift basket can be the ultimate idea to get for grandma. You can add a few items she loves – a book, chocolate and a gift card to her local coffee shop. Think of her hobbies to fill her basket. Not crafty? You can also buy her one. There are tons of options to choose from. You can get gardening baskets, coffee lovers, spa’s and even makeup baskets – just to give an example. Any of these gift ideas are wonderful to give to your grandma. When choosing find something that makes you feel good about giving her. She’ll love whatever you pick.